Indiana University's McKinney School of Law has announced the launch of a new LL.M. track in International Trade Law. The track has grown out of a partnership with World Trade Center (WTC) Indianapolis, which connects local businesses to the global marketplace. No immediate information was available with regard to the LL.M. track's curricular components. However, the school noted in a news release that students in a pilot of the track last year participated in pro bono roles with WTC Indianapolis. For more information, please see the IU McKinney news release announcing the launch of the LL.M. track in International Trade Law. Ireland's NUI Galway has announced the launch of a new LL.M. in International Migration and Refugee Law and Policy. The new program—unique in Ireland, according to the school—will not only look at international migration but related issues as well, such as humanitarian law, gender and law, human rights law, advocacy, and more. It will be open to those who want to break into the fields of human rights and asylum law as well as those who already work in these fields. The LL.M in International Migration and Refugee Law and Policy will include two core modules, one in International Migration Law and the other in International Refugee Law. Beyond those modules, students can customize their learning through optional courses such as European Human Rights Law, Public International Law, Minority Rights, and more. The LL.M. will also include a dissertation. The full-time version of the LL.M. will take one year to complete. The program is also offered in a part-time format. The program is offered through NUI Galway's Irish Centre for Human Rights, which focuses on human rights research, advocacy and teaching. For more information, please see NUI Galway's LL.M. in International Migration and Refugee Law and Policy program webpage. You can also see the Top 10 LL.M. Programs in Human Rights, from LLM GUIDE. NYU Law's Institute for International Law and Justice has announced the launch of a new LL.M. fellowship program, to commence in the summer or fall of 2020. The new fellowship program is called the LL.M. Public Interest Fellowship and will allow fellows to work in a host organization of their choosing. Eligible host institutions include nonprofits, intergovernmental organizations, and government bodies. The fellowship will last 12 weeks and will include a $7,000 stipend. To apply for the new LL.M. fellowship program, students will have to provide, among other things, two references, along with a personal statement and a letter of recommendation. According to the evaluation criteria, applicants should demonstrate a commitment to public interest work. For more information, please see this NYU news release announcing the launch of the new LL.M. fellowship program. The publication US News and World Report has released its annual "Best Law School" rankings. In this new ranking, the top seven schools are the exact same as they were last year (and as they were in the previous ranking before that). Yale Law School is ranked first, followed by Stanford, Harvard, the University of Chicago, Columbia, NYU Law, and the University of Pennsylvania. Overall in the top-20, there was very little change. The University of Virginia, which was tied for ninth place in last year's ranking, rose one spot to re-claim position number eight. The University of Michigan dropped one spot to land at number nine; UC Berkeley also lost one position to tie with Duke and Northwestern at position number 10. USC rose two positions, going from 19 last year to spot number 17 in this year's ranking. This ranking only includes law schools based in the US. To determine the ranking, US News took into account a variety of factors, including assessments by lawyers and judges, median LSAT and GRE scores of incoming JD students, and placement success, among others. Besides the general law school ranking, US News also publishes rankings for law specialties, such as dispute resolution, environmental law, and Health Care Law. See below for the top 20 law schools in the US, according to US News. Ohio's University of Dayton has announced that it has launched a new LL.M. certificate in Social Justice Law. The new certificate—which can also be pursued by students in the school's MSL programs—will include classes in international human rights, civil rights enforcement, immigration, Constitutional law, and critical race and feminist legal theory. The certificate is designed to prepare graduates for roles in nonprofits, government, and private settings. As part of the new LL.M. certificate, participants will also have the opportunity to work with the University of Dayton Human Rights Center, which produces a range of research. With the new certificate in Social Justice Law, the University now offers seven optional certificates as part of its LL.M. and MSL programs. Other certificate options include Applied Business Law, Criminal Law, Cyberlaw, and Intellectual Property, among others. For more information, please see the University of Dayton's news release announcing the launch of the new LL.M. certificate in Social Justice Law. You can also read more about the law school on the University of Dayton's Full Profile at LLM GUIDE. LLM GUIDE has updated its “Top 10 Lists” of the best LL.M. programs by specialty for 2019. The Top 10 Lists are not designed to be definitive rankings, but rather to shortlist top LL.M. programs for career paths based on a variety of factors, including existing rankings, international balance, and research strengths. LLM GUIDE also publishes other Top 10 Lists, highlighting top law schools by location. See more on LLM GUIDE’s Top 10 Lists page. You can also read about the Top 10 List methodology. The Indian Bar Association has announced that it will holding LL.M. fairs in New Delhi and Bangalore in April. At the events, attendees will be able to learn about LL.M. programs offered by law schools in the US, Europe, Canada and Australia. There will be time available for participants to network with universities, and there will also be presentations from law schools. The LL.M. fair in New Delhi will be held on April 25; the LL.M. fair in Bangalore will take place on April 27. The list of attending schools has yet to be finalized; you can see a list of schools that attended the events in 2017 and 2018 below. To learn more or register for one of the LL.M. fairs in India, please see the Indian Bar Association's LL.M. fair webpage. Boston University School of Law (BU Law) has announced the launch of a new Master in the Study of Tax Law (MSL) program. The new program is 24 credits and is aimed at nonlegal professionals—such as accountants, auditors, and other business professionals—who are interested in learning more about tax law. It will also appeal to recent graduates of accounting programs, in that the MSL can help them satisfy the 150 credit hours required for CPA licensure. Students in the new Tax MSL program will have access to the same curricula available to students in the school's Graduate Tax Program, which is only open to students with a first degree in law. BU's new Tax MSL can be pursued on either a full- or part-time basis, and will be available both in-class or online. Full-time students must fulfill all requirements in two semesters, while part-time students have up to four years to complete the program. To apply, prospective Master in the Study of Tax Law candidates must have a bachelor's degree from an accredited school—or the international equivalent. The program will enroll students in the spring, summer, and fall semesters. It's set to launch this fall. For more information, please see BU Law's Master in the Study of Tax Law program page. Read more about BU Law on the school's Full Profile at LLM GUIDE. You can also leern more about MSL programs and other LL.M. alternatives aimed at non-law professionals. The career networking site e-fellows.net has announced that it will hold LL.M. application events in Berlin and Munich this March. At these events, prospective LL.M. applicants will have the opportunity to meet with representatives from law schools all over the world, including the USA, the UK, Australia, New Zealand, Spain, Turkey, and the Netherlands. The events will include group discussion sessions and a law fair, where attendees will be able to ask questions about pursuing an LL.M. program. Additionally, a panel discussion will also be held, where lawyers will discuss their experiences with LL.M. programs. A presentation about the American bar exam and the British Solicitors Qualifying Exam will also be included. The Berlin LL.M. event will be held on March 2nd, while the Munich fair will take place on March 23. Those who are interested in participating in one of the events will need to apply on e-fellows.net. The deadline to apply is February 10th for the Berlin event, and March 3rd for Munich. Oregon's Lewis & Clark Law School has announced the launch of an Online LL.M. in Environmental Law. The school's new Online LL.M. in Environmental, Natural Resources, and Energy Law will launch in the fall of 2019 and will be delivered entirely through distance learning—no campus visits will be required. The program is based on the in-class version of the school's well regarded LL.M. in Environmental Law, which is listed by LLM GUIDE as one of the top 10 LL.M.s for Environmental Law in the world. The program format will be flexible, and students will be able to adjust the workload to line up with their own schedules. Scholarships will be available for the new Online LL.M. in Environmental, Natural Resources, and Energy Law. The University of Pennsylvania Law School (Penn Law) has announced the launch of a new summer certificate program in US Law and Technology. The new executive education program is aimed at those who are interested in delving into US technology law, and will cover a variety of areas relevant to the subject, including patent law, internet regulation, privacy / data protection, and others. The program will also explore cutting-edge topics like cryptocurrencies, fintech, and artificial intelligence. The program will be one week law and take place on the Penn Law campus in Philadelphia between July 14 and 19, 2019. To apply for the program, a firm grasp of English is necessary. The program is designed for international attorneys with 3-5 years of work experience, as well as high-achieving international law students with practical experience. The application deadline is February 28, 2019. For more information or to apply, please see Penn Law's US Law and Technology summer program webpage. The University of York's York Law School has announced that it will launch an LL.M. in Art Law next year. The new LL.M., which will be run in cooperation with York's Department of History of Art, will cover a range of topics around the legal treatment of art and cultural heritage. The core curriculum will include courses such as "Art: Commodity or Valuable," and "Law and Art: Parallel Perspectives," among others. Students will also be able to choose one elective module offered by the Department of History of Art. Additionally, the LL.M. will also include a dissertation. The new LL.M. in Art Law is set to launch in September 2019. Prospective applicants whose language is not English may need to provide evidence of their English ability. For more information, please see York Law School's LL.M. in Art Law program webpage. Fourteen US-based law schools will be participating in an upcoming LL.M. fair, which will take place online. The LL.M. event will be held on November 27, between 8:00 am - 3:00 pm Eastern Time. For more information, please see the LL.M. fair webpage. You can register for the event here. Here we list application deadlines for full-time LL.M. programs in Asia beginning in Fall 2019. The schools were chosen based on the most-visited LL.M. programs on LLM GUIDE, as well as other top programs. It is advisable to double-check deadlines on the program’s official website. The Chinese University of Hong Kong (CUHK) has announced the launch of three full-tuition scholarships for students beginning the school's LL.M. program in 2019. In addition to covering the full cost of tuition, the new LL.M. scholarships will also provide a living stipend of $80,000 HKD. These new LL.M. scholarships will be awarded on the basis of applicants' academic merit. A total of three scholarships will be awarded. For further information about the LL.M. scholarships, see the CUHK Faculty of Law website. On LLM GUIDE, you can see a directory of LL.M. scholarships and read more about how to get an LL.M. scholarship. Labor laws are no longer confined to national barriers: it is now essential for every lawyer to understand the European and global frameworks. With that in mind, Universiteit Leiden of the Netherlands has launched an LL.M. in Global and European labor Law for 2019/20. The course, which Leiden believes is the first of its kind, aims to combine all the rules and mechanisms of international labor law, as well as for the various economic, social, political and cultural contexts. With the increasing globalization of the economy, workers’ rights have become a fractured subject across geographies. Most companies in most countries now have to comply with corporate social responsibility standards. And new frameworks for labor rights have come into force, including conventions put it place by the International Labor Organization (ILO), directives of the European Union, plus human rights treaties and the guiding principles of the OECD club of mostly-rich economies and the United Nations. Students on the Leiden LL.M. are expected to be from all continents, providing a global experience, and guest lectures from the ILO, EU, UN and OECD are mooted to take part in the program. Applications for the course are now open for legal professionals with a full law degree and basic knowledge of labor or European law. The first deadlines for LL.M. programs in Europe beginning Fall 2019 are already approaching. Here we present a list of application deadlines for LL.M. programs at European law schools, starting in the fall of 2019. The schools were chosen based on the most-visited programs on LLM GUIDE, plus other top programs. Some schools have separate deadlines for non-EU/EEA students who need extra time to obtain visas, so remember to check for the deadline that best applies to your situation. It is best to double-check any deadlines you are aiming for on the relevant law school's website. Applications received on a rolling basis. The school recommends you apply by the end of February if you require a visa. Applications are accepted on a rolling basis until program start in mid-September. Non-EU citizens must apply by mid-April in order to have enough time to get a visa. Ohio's University of Dayton School of Law has announced the launch of a new Online LL.M. program. The Online LL.M. 's 12 courses will cover a range of topics, including Professional Responsibility, Business Associations, Evidence, Real Property, Torts, Trusts and Estates, Civil Procedure, Constitutional Law, Criminal Law & Procedure, and Contracts & Sales. The program is open to both domestic and international students, and is designed primarily for international students who want to learn more about US law and legal practice, and may be interested in taking a bar exam in the US. The Online LL.M., according to the school, meets the current curricular requirements to take the Washington state bar exam. The program's length is flexible but can generally be completed in approximately one year. Students may take up to three years to complete the LL.M. The University of Dayton's Online LL.M. is set to debut in January 2019. Scholarships and financial aid are available. For more information, please see the University of Dayton's Online LL.M. program FAQ page. Below is a list of application deadlines for full-time LL.M. programs in the United Kingdom and Ireland beginning in Fall 2019. The schools chosen were based on the most-visited programs on LLM GUIDE. Some law schools have different deadlines for domestic and international students, particularly for those qho require a visa. More application cycles will open throughout October, while the first ones close in December 2018. Always double-checking the program's website for the most up-to-date deadlines. June 15 for international applicants, August 15 for EU applicants. Canada's Queen's University Faculty of Law has announced the launch of a new online Graduate Diploma in Legal Services Management. The program includes five courses and is aimed to help law students and graduates develop business knowledge to round out their legal skills. The courses cover topics in financial literacy, legal practice, the legal services business, managing people, and project management. The program is available to upper-division JD students at the school. Additionally, those who have graduated from the JD program can begin the diploma within 24 months of graduation. Students can take up to one year to complete the program. For more information, please see the Queen's news release announcing the launch of the new online diploma. The Gould School of Law at the University of Southern California (USC) has announced the launch of an LL.M. program in International Business and Economic Law. The new LL.M. will help students understand the laws and policies that shape international commerce and trade. The mandatory courses will cover topics in business organizations, global regulatory policy or international trade policy, and international business transactions. Students can also select from a range of electives in a variety of subjects relevant to international business and economic law. Additionally, students can also round out their studies by pursuing a certificate in either transnational law and business and / or business law. USC's LL.M. in International Business and Economic Law program will launch in the fall of 2019. For more information or to apply, please see the program webpage. USC has also announced that its Master of Studies in Law (MSL) program—which was previously online offered in an online format—will now be offered in an on-campus format as well. The residential program will include the same course content as its online counterpart. The MSL program is designed for non-lawyer professionals and recent graduates who want to better understand complex legal matters. It will launch in the fall of 2019. For more information, please see USC's Residential MSL program webpage. Read more about the school on USC's Full Profile on LLM GUIDE. The UK's University of Bradford is now offering an LL.M in International Commercial Law, according to the school's website. The LL.M. offers intakes in January and September and takes one year to complete. It covers a number of topics, with required modules on Principles of Regulation and Enforcement; and Sustainable Development Law in Business and Society. Students can also pursue a number of elective classes in subjects like commercial dispute resolution, international commercial contracts and e-commerce, and international intellectual property law, among others. LL.M. students can also choose to pursue modules at Bradford's School of Management. To apply, interested candidates must have a 2:2 or higher degree in any subject, or relevant work experience at the graduate level. They must also have an IELTS score of 6.5 or equivalent with a minimum of 5.5 in each sub-test. For more information, please see Bradford's LL.M. in International Commercial Law program webpage. Below is a list of application deadlines for LL.M. programs starting in the fall of 2019 offered by law schools in the United States. The schools were chosen based on the most-visited university programs on LLM GUIDE and other top programs. Some law schools have different deadlines for domestic and international students, so make sure you apply by the correct deadline. Applications at some schools are already open, and some open their applications cycles in September. The deadlines for some LL.M. programs is as early as November or December 2018. Some law schools have not announced their LL.M. application deadlines yet; we'll update this list as more add their deadlines. Unless otherwise stated, the deadlines below are for full-time LL.M. programs beginning in the fall of 2019. Priority application deadline is March 1, 2019. Regular Decision applications due: March 15, 2019. IMPORTANT: All prospective students are advised to double-check the above application deadlines with law schools as soon as possible before applying. The George Washington University Law School (GW Law) has announced the launch of a new Master of Studies in Law program. The new MSL program is aimed at non-lawyers who want to study law but don't necessarily want to get a JD or practice law. MSL students will study alongside JD and LL.M. students, and have the opportunity to pursue one of nine areas of concentration, including Business and Finance, Intellectual Property, Environmental & Energy Studies, and Cybersecurity, among others. See the full list of concentrations below. The program is flexible and can accommodate both full- and part-time students. Full-time students can complete the MSL in one year. To apply for GW Law's new Master of Studies in Law program, potential candidates do not need a first degree in law, but should have a minimum of three to five years of experience related to their area of concentration. The new MSL is set to launch this fall. Applications for the fall and spring intakes are accepted on a rolling basis. For more information, please see GW Law's news release announcing the launch of the new MSL degree. Singapore Management University (SMU) has partnered with Singapore Judicial College to offer a new LL.M. in Judicial Studies. The new LL.M. is designed for serving judges and judicial aspirants both in and outside of Singapore. During the program, degree candidates will undertake judicial attachments and dissertations. The LL.M. in Judicial Studies can be completed in ten months, across two academic terms. Students also have the option of taking a leave of absence between the two terms, in order to balance their studies with work commitments. The program's curriculum includes six core classes, that cover topics like Judicial Mediation, Judgecraft, and Advanced Law of Obligations, among others. After completing the core classes, students will have the opportunity to take two credit units of electives, chosen from classes like International Law, Finance, and Politics of South East Asia, among others. The class size is expected to be around 25 participants. With the new program, SMU joins a small group of law schools offering LL.M. programs in Judicial Studies. In 2011, Duke Law School launched a Judicial Studies LL.M. SMU's LL.M. in Judicial Studies will launch in the fall of 2019. Applications are open now and will close on May 1, 2019. For more information, please see SMU's news release announcing the launch of the LL.M. in Judicial Studies. UC Irvine's School of Law has announced plans to launch a new LL.M. program in Tax Law. According to the school, the new Graduate Tax Program will help students understand the new US tax law, which was enacted in 2017. The curriculum will cover a variety of topics, with mandatory courses such as Corporate Taxation, International Taxation, Partnership Taxation, and Tax Practice and Procedure. In addition, the program will also include a practical skills component, where students will get real-world experience in tax law, and which can be completed through a tax externship or a tax clinic, for example. UC Irvine's new LL.M. in Tax will begin in the fall of 2019, and applications will be open beginning this August. To apply for the program, students should have a JD from an ABA-accredited law school or have been awarded a law degree in their home country or are otherwise licensed to practice law. International applicants must also demonstrate English proficiency through the IELTS or the TOEFL. For more information or to apply please see UC Irvine's Graduate Tax Program webpage. Swansea University's School of Law has announced that it will launch a new LL.M. program in Legal Technology. With the new program, Swansea joins a small but growing group of law schools offering LL.M. programs and other law master's degrees in the Legal Tech space. Spain's IE Law School, for example, offers a Master in Legal Tech, which, according to the school, bridges the gap between innovation and law. Likewise, Germany's Bucerius Law School offers a Legal Technology specialization as part of its Master of Law and Business program. The specialization explores how technological and organizational advances are reshaping how we think about the law. Case Western Reserve University's School of Law is offering several new Master of Law programs starting this fall, according to the school's website. Master of Law in US & Global Legal Studies: offering optional certificates in Criminal Law, Health Law, Intellectual Property Law, International Business Law, International Criminal Law, Public International Law, and Financial Integrity. Master of Law in International Business Law: designed for students who want to learn about laws and regulations they may encounter as part of business practice. Master of Law in Intellectual Property Law: covering topics in intellectual property law and related subjects. In contrast to most LL.M. programs, these Master of Laws programs are designed for students who do not already have a first law degree. These new programs can be completed on a full-time basis over nine months, or part-time in up to four years. For more information, please see CWRU's Master of Laws program page. 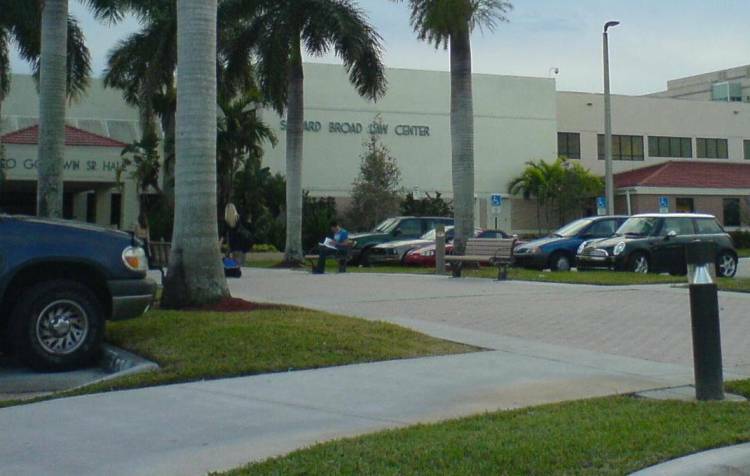 The Florida-based Nova Southeastern University (NSU) has announced the launch of a new LL.M. degree. The new LL.M. can be pursued either full-time over one year or part-time over two years. Students will be able to take classes online, in-class, or a mix of the two. It will offer a range of specialization options, including Business and Entrepreneurial Counseling, Health Law, Intellectual Property, Cybersecurity, and Technology Law, International Law, and Litigation and Dispute Resolution. Also on offer will be a US Practice Track for Foreign Lawyers, which is open to international attorneys who want the option to also pursue an accelerated JD program. This option is only available for on-campus students. To apply for NSU's new LL.M., candidates from the US should have a JD plus two or more years of experience in the practice law. International applicants should have a first law degree; work experience is also preferred. For more information, please see Nova Southeastern University's LL.M. program page. Queen Mary University of London (QMUL) has announced the launch of a new LL.M. in Technology, Media, and Telecommunications Law, which will be offered in Paris. The new QMUL LL.M., which will be offered through the school's Centre for Commercial Law Studies, will be delivered completely in English. It will cover a range of technology-related topics, and look at commercial law through comparative, international, and European perspectives. The program will be delivered through a combination of face-to-face modules and distance learning components. It's designed so that busy working professionals can fit it into their schedules. The program's length is flexible but can generally be completed in two years. Prospective applicants can learn more about the new LL.M. during a Postgraduate Virtual Open Day on June 14. To learn more, please see QMUL Paris' LL.M. in Technology, Media and Telecommunications Law program webpage. Starting in 2019, Australia's UNSW Law will consolidate its postgraduate law offerings. Currently, the school offers an LL.M. aimed at law graduates, as well as a Master of Business Law degree, which is aimed at those without a background in law. However, beginning next year, the school will offer a single LL.M. program, which will be open to those with a law degree and those without. According to the school, the updated program will provide "deeper insight of how the law operates in society and the economy." The school also notes that offering an LL.M. that is open to both law professionals and those without a law degree is a first for an Australian law firm. UNSW will continue to offer its Master of Business Law program for the fall 2018 intake. For more information, please see UNSW's LL.M. webpage. Boston University School of Law has announced a new category of LL.M. scholarships set to be the highest-value awards offered to LL.M. students. Students admitted to the LL.M. Leadership Program will receive LL.M. Leadership Awards, will enjoy the title of LL.M. Leadership Scholars, as well as access to special professional networking events throughout the academic year. The small number of new scholarships are open to everyone applying to be admitted to BU Law's LL.M. program beginning Fall 2018, who have at least three years' work experience. No additional application is required, but students will be selected based on their leadership potential, as demonstrated by their professional track records. Read more on the BU news release announcing the new LL.M. scholarships. You can also learn more about the school's LL.M. programs by going to BU's Full Profile at LLM GUIDE. City Law School has partnered with the Dubai International Financial Centre (DIFC) Academy of Law to offer an LL.M. in Maritime Law in Dubai. The new LL.M. is set to launch in 2019. It's designed for professionals, law graduates, and lawyers working in the maritime sector. It will cover a number of topics relevant to the maritime industry, including shipping contracts, insurance, admiralty practice, international sale of goods, and commercial arbitration. Dubai's maritime industry is thriving due to the presence of one of the world's busiest ports. Dubai's shipping industry was expected to be worth some $66 billion in 2018, according to a 2017 analysis by Oxford Business Group. The LL.M. 's content will be delivered by City Law School academics as well as practitioners and guest lecturers. Classes will be held in intensive weekend blocks, so that working professionals can fit the LL.M. into their busy schedules. City Law School already runs an LL.M. in Maritime Law from its home campus in London. It also operates a Maritime Law LL.M. in Greece. Please see the school's news release for more information about City's new Dubai-based LL.M. in Maritime Law. The Brussels-based Institute for European Studies (IES) has announced the launch of a new LL.M. specialization in Data Law. The new LL.M. specialization explore various topics related to data law, including cybersecurity, privacy, and data regulation. It will include the following courses: "International and European Data Protection Law," "Data Policies in the European Union," and "Case Study on Global Privacy and Data Protection." Amid the fast-paced changes in this space—the EU's General Data Protection Regulation, or GDPR, goes into effect this month—an increasing number of law schools around the world have launched LL.M. programs in related fields such as cybersecurity. In addition to the new specialization, IES also offers two other specializations as part of its LL.M. in International and European Law program: Public Law and Business Law. For more information, please see the IES news release announcing the launch of the LL.M. specialization in Data Law. You can read more about the school's LL.M. offerings on IES' Full Profile on LLM GUIDE. The Cumberland School of Law at Samford University, in Alabama, has announced the launch of an Online LL.M. as well as an Online Master of Studies in Law (MSL) degree programs. The two programs will be delivered entirely online, and each will take 24 months to complete. The LL.M. is designed for lawyers who want to expand their knowledge of law, while the MSL is aimed at non-lawyers who are interested in pursuing a law degree. Both the Online LL.M. and the Online MSL are set to launch this fall. For more information, please see the Samford news release announcing the launch of the new Online LL.M. and MSL programs. The US News and World Report has released its annual law school rankings for 2019. Yale, Stanford, and Harvard are the top three schools, once again, in that order. In fact, the top seven positions are held by the same schools that held them last year. There was some minor shuffling in the rest of the top 10. The University of Virginia, which was tied for eighth last year with the University of Michigan-Ann-Arbor, has fallen to spot number nine, where it's tied with the University of California at Berkeley (last year, Berkeley ranked 12th). US News determines the ranking by using metrics such as peer reviews, placement success, bar passage rates, and other factors. The publication also ranks law schools by specialty. For instance, Vermont Law School holds the top position for Best Environmental Law Programs, while Pepperdine University leads the pack for Best Dispute Resolution Programs. The full law school rankings are available on the U.S. News and World Report website. LLM Guide offers its own Top 10 lists for a various law specialities, focusing on LL.M. programs. Florida's Stetson University College of Law has announced the launch of three new Master of Jurisprudence programs, aimed at non-lawyers. The new programs include a one-year Master of Jurisprudence in International and Comparative Business Law, as well as two part-time programs: one in Healthcare Compliance and the other in Aging, Law, and Policy. The M.Jur in International and Comparative Business Law will be a residential program, while the part-time M.Jur options will be delivered online. All three M.Jur programs will start this fall. Students who will need a visa should apply by April 1. The deadline for domestic applicants who do not need a visa is July 1. Stetson University also offers a full-time LL.M. in International Law as well as Online LL.M. programs in Advocacy and Elder Law. For more information, please see the Stetson news release announcing the new M.Jur programs. Read more about alternatives to LL.M. degrees that do not require a background in law. Germany's Bucerius Law School has announced a new full-tuition scholarship program for its Master of Law and Business Program (LLM/MLB). As part of the new Bucerius Global Scholars program, two to four professionals will be awarded full-tuition scholarships (covering the program's 22,000 EUR cost), plus a living stipend. To apply for the new scholarships, applicants must submit an essay identifying a current legal or business controversy affecting a part of the world and present a solution to the controversy. Additional documentation, as well as a written statement about why the applicant should receive assistance, is also required. Applications for the new scholarships are due on April 15. For more information, or to apply, please see the Bucerius Global Scholars program webpage. Read more about the law school on Bucerius' Full Profile at LLM GUIDE. The University of Utah's Quinney College of Law has announced that it will launch a new Master of Legal Studies degree program this fall. The new MLS program is specifically designed for people interested in the law but don't want to practice as an attorney. The program will be delivered on a part-time schedule, with classes held ever other Friday and Saturday. It will take three semesters to complete. The MLS' course curriculum will includes classes like "Conflict and Legal Crisis Management;” “Contracts in the Modern Economy;” “Procuring and Managing Legal Services;” and “Lawsuits and Litigation.” Students will also be able to choose from a list of elective classes from the school's JD curriculum. An increasing number of schools are launching Master of Legal Studies degrees and other master's-level programs in law aimed at non-lawyers. These are different from LL.M. programs in that most LL.M.s will require a JD or other undergraduate law degree to apply. Utah's new MLS program will launch in September 2018. For more information, please see the University of Utah's Master of Legal Studies program webpage. George Washington University Law School has announced plans to launch a new LL.M. specialization in National Security and Cybersecurity Law, according to the school. With the new specialization, the school plans to leverage its Washington, DC location to help students understand core concepts in national security and cybersecurity law. Additionally, the curriculum will touch on a range of other topics, with classes like "Information Privacy Law," "E-Commerce," and "Counterterrorism Law," among others. The new LL.M. specialization comes just over a year after the school opened its Cybersecurity Initiative, which puts on public events and publishes research in the cybersecurity space. An increasing number of law schools, mostly in the US, are offering LL.M. programs in Cybersecurity, which promise to help students hone their expertise in this burgeoning area of law. In 2016, the University of Maryland launched an LL.M. in Cybersecurity; Loyola Law School in Los Angeles also offers a similar program, while the New York-based Albany Law School recently announced an Online LL.M. in Cybersecurity and Data Privacy Law. George Washington's new LL.M. specialization in National Security and Cybersecurity Law will launch this fall. Interested parties may contact llmadmissions@law.gwu.edu or apply for the program. Read more about George Washington University Law School on the school's Full Profile at LLM GUIDE. e-fellows.net will host one LL.M. day in Munich on March 17, with another to be held in Berlin on April 7. Law students, trainees and interested LL.M. applicants will have the chance to meet representatives from law schools in the USA, the UK, Australia, Spain, and the Netherlands, who will present their Master of Laws programs and be available to answer questions about their programs. The LL.M. days will include group sessions and a careers fair, plus lawyers from leading law firms will discuss their experiences on various LL.M. programs during a panel discussion. Additionally, the LL.M. Day in Munich will also feature a presentation about the American Bar Exam and the British Solicitors Qualifying Exam, which will be of interest to those aiming to practice law in the future. Interested participants must register on the e-fellows.net website. Applications close mid-March. The Netherlands' University of Groningen has announced a new scholarship available to LL.M. applicants who come from within the EU. The 500 EUR scholarship, called the EU Talent Grant Law, is open to students who are planning to study on one of the law faculty's English-language LL.M. programs. These include the Master of Laws in Energy and Climate Law, the Master of Laws in European Economic Law and the Master of Laws in International Human Rights Law, among other programs. The scholarship covers about 25 percent of the LL.M. tuition fees. Applications for the grant are now open, and will run until May 1. For more information, see the program website. Georgia State University College of Law in Atlanta will soon offer two new concentrations on its LL.M. program. From August 2018, LL.M. students will be able to choose concentrations in Intellectual Property Law or Environmental and Land-Use Law. In the Intellectual Property (IP) concentration, students will learn how to apply legal concepts in different IP settings, including prosecution, litigation and transactional work. Meanwhile, in the concentration in Environmental and Land-Use Law students will learn to work collaboratively with planners, engineers, developers and government officials, while using their legal skills. The two new LL.M. concentrations offered alongside three existing concentrations that were aimed at foreign lawyers. The school says the new additions will allow American-trained lawyers to further their legal training in one of the two specific areas.